Hey! It’s Thursday and it means the weekend is almost here! 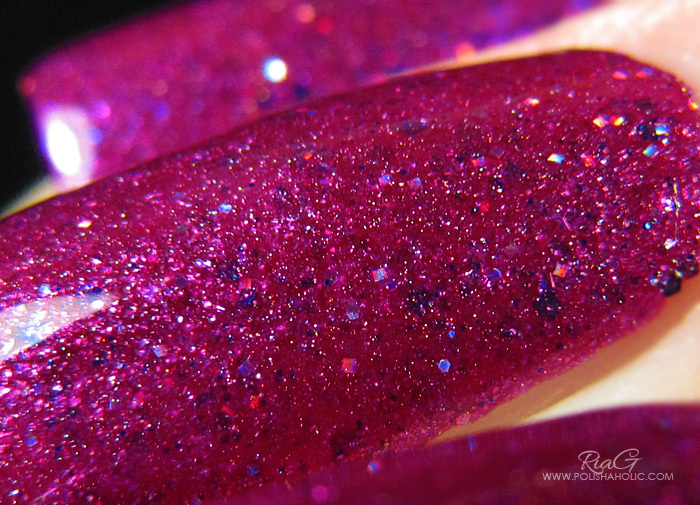 Today I have a new Jindie Nails polish to show you. 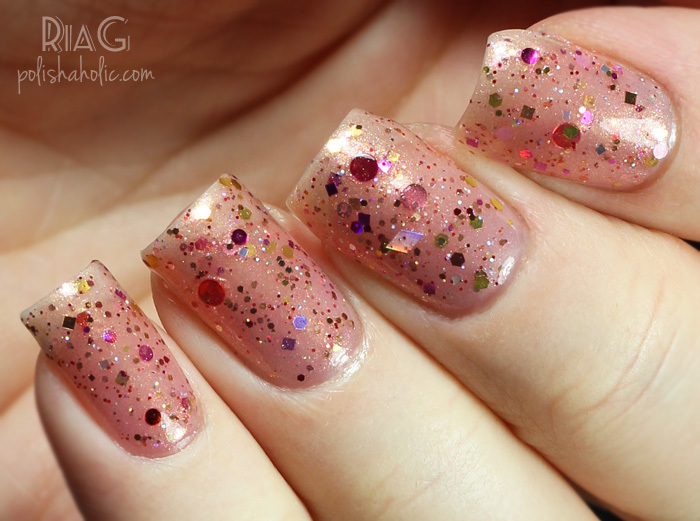 This is Baby Love, My Baby Love, a gorgeous sheer peachy pink glitter polish in an amazing shimmer base. This one has such a glow to it and the mix of glitters is just awesome. Sheer base leaves this looking very light and delicate when worn alone and that makes it perfect for spring and summer. This one is just lovely! 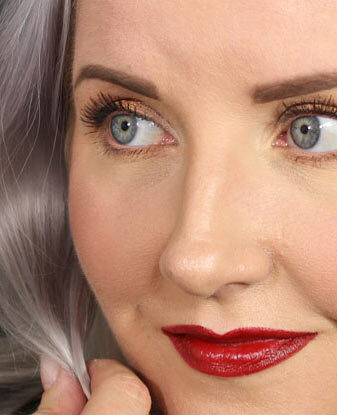 Formula was on a thin side and easy to apply perfectly. 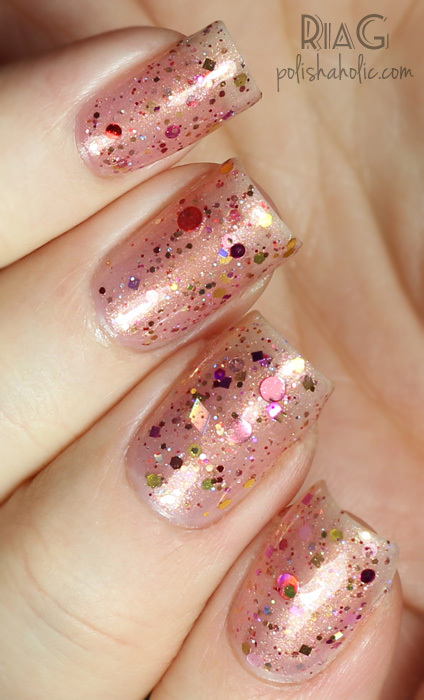 Thin formula also makes this good for applying more than one or two coats and with three coats you get a lot of glow and enough glitter. 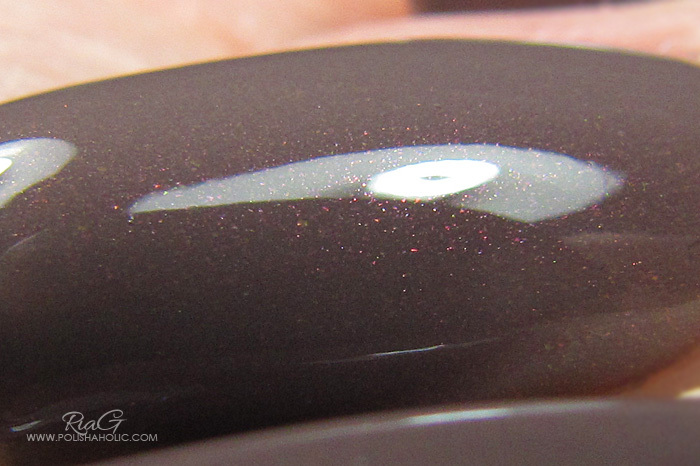 I turned the bottle upside down before application and did a little bit of fishing for the biggest glitter pieces. This applied very evenly and there was no need for glitter placement. I chose to wear this alone cos I love how feminine it looks that way but you can layer this over a creme polish to have an opaque look and make the shimmer pop out even more. This is a coat of Glisten & Glow Stuck On Blu!, three thin coats of Baby Love, My Baby Love and Rica Glossy Glam top coat. I don’t have a release date for this polish yet so follow Jindie Nails social media accounts and keep your eyes peeled for it. You can buy Jindie Nails polishes from JindieNails.com or from authorized distributors. You can find the latest news, releases and restock info from their FB and IG. ***This was sent for review. I don’t benefit from clicking any of the links on this post. Today I have two awesome polishes by Jindie Nails. These are sister polishes Phone, Keys, Polish, Check! and The Blue That Holds Us Together. 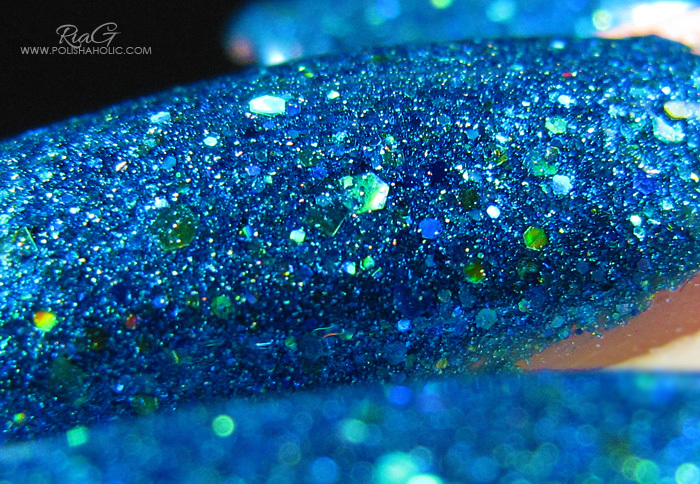 These are really vibrant colored jelly polishes packed with glitter, microglitter, holographic glitter, and shimmer. Absolutely stunning!!! Phone, Keys, Polish, Check! is a one coater! One generous coat was enough for an opaque result. Application was excellent and dry time was quick. This dries a little rough so I applied two coats of top coat to get a smoother result. This is one coat of Essie Beam Me, a coat of Phone, Keys, Polish, Check! and two coats of HK Girl top coat. The Blue That Holds Us Together had an equally excellent formula and application. Though for this I applied two thinner coats. This was also a bit top coat hungry so again I applied two coats of top coat. This is a coat of Essie Beam Me, two coats of The Blue That Holds Us Together and two coats of HK Girl. Aaaahhh!! I’m so in love with these! They are even more vibrant and sparkling in real life! ***These were sent for review. I don’t benefit from clicking any of the links on this post. This is KIKO 512. On their website it’s described as metallic rosy taupe. Rosy taupe I agree with but when it comes to nail polish metallic is a finish to me and this one is clearly a creme with very fine pink shimmer. Gorgeous color! Formula was good. Application was very smooth and easy. This was opaque with two coats and dry time was fast. For this manicure I used a coat of Essie Nourish Me, a coat of Glisten & Glow Stuck On Blu!, two coats of KIKO 512 and HK girl top coat.